According to the 2015 Jobvite Recruiter Nation survey, 92% of recruiters use social media for recruiting. While it is clear recruiters rely on LinkedIn, you might be surprised to know that 55% use Facebook and 47% use Twitter for recruiting. A strategic presence on multiple social media networks is a way to distinguish yourself from the competition and to land sooner. Social media can be used to catch a hiring manager in the flow of their day, and to grab their attention while your competition waits for their friend to forward an introduction request. 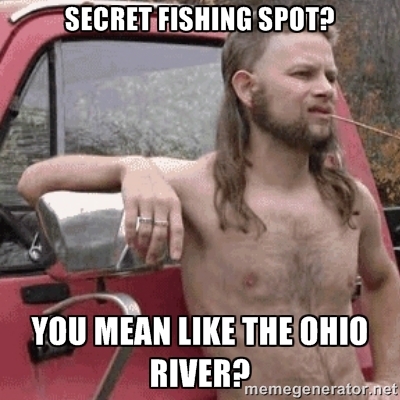 Adding Twitter and Facebook to your arsenal of job search tools can be thought of as visiting a secret fishing hole. Except, that hole is not so secret. In fact everyone knows about its location, much like a highway in plain sight. While everyone is using Facebook or Twitter for personal purposes, you can cast your line, attract, and reel in hiring managers and recruiters through these networks. In Tales from the Flipside, Jack shared his skepticism, bordering on disdain for Twitter. Part of him becoming a Job Search Jedi was expanding his comfort zone, and trying Twitter was a big stretch for him. Much to his delight, and chagrin (because I was right), Jack made contact with an executive at his target company within minutes. This led to a job opportunity within days. This is after Jack tried Linkedin, e-mail, and the phone without success. On Twitter show your profile by including professional information as well as nuggets of personal information that add intrigue to your persona. Ask yourself: What is it about me that would make someone stop and say, ‘Interesting! Let me find out more about this person?’ Consider the little things that make you unique. Do you have a secret obsession with bacon-flavored baked goods? Do you crochet tiny animals? Consider your overall uniqueness. What is your mission? What is extraordinary about you? Let people in and give them a sneak peek of who you are. Facebook provides more characters to create your profile. Create a complete profile that includes your education, work, interests and hobbies. Add details of your work duties and your accomplishments to round out your profile. On both sites, use an appropriate picture for your profile. Unlike your LinkedIn profile photo, these sites do not have to be professional, but make at least one of the pictures on each site of you (there are usually two- a profile photo and a banner photo). People trust you more if you are confident enough to put your face out there, and they will make a stronger connection with you and your voice. Of course, avoid using a profile picture that is blatantly offensive, something that would earn you a pink slip at work. Search for relevant people in your industry and follow them on Twitter, especially if they are at a company where you want to work. Use search engines to find them and follow who Twitter suggests. Keep your ratio of following-to-followers close. If you follow many more people than are following you, you may be perceived as a spammer by others. Add value to your Twitter followers by sharing content on interesting topics outside of your industry and profession; encourage and request input and start discussions. Many industry leaders post about their interests as well as their professional missions and the challenges they confront. Keep track of this by creating a file for each company and thought leader. Provide them with information they like or need in order to solve a pain point. If you are unsure of their pain point, ask them directly! Private message them or publicly @mention them. Go further by asking them what their clients’ pain points are, so you can refer clients to them. Nothing makes a great impression like solving a problem. Tweet Chats are another excellent way to engage with industry professionals or with others on various topics and to grow your network. Organize those you follow on Twitter into categories by creating lists. Lists will allow you keep your industry contacts separate from friends, and will ensure that you can easily follow their tweets. In addition to people from your industry, add friends, family, people who amuse or excite you, companies, magazines, and people from other industries. Tap into your existing network of friends in your industry on Facebook. Create a Friend List and add professional contacts from among your friends. You can add contacts to your list, but they must already be your friend. This will allow you to target your status updates, instead of sending them to everyone. Make sure your friends understand the value you are driven to contribute in your next job, who you want to meet, and where you would like to work. 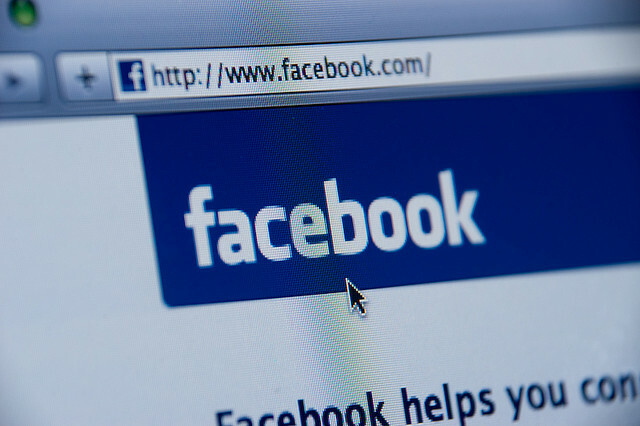 Expand your network on Facebook by using the Follow option. Unlike Twitter, a person has to have the Follow option turned on in their profile. If this is option is not turned on, you will have to send that person a friend request. Like others’ posts and engage them with thoughtful comments, perhaps even directing them to other thought leaders and resources to keep the conversation going. Update Twitter frequently with useful industry information and content from industry leaders. Three to five tweets are the ideal number to post, but anything over 50 tweets per day and you risk losing followers. If you write, tweet links to your articles or blog posts. Ask questions of others and start conversations. Try to avoid emotionally-charged debates, and stay away from political arguments, as they are a turn-off to potential employers and followers. 55% of recruiters have reconsidered a candidate (with 61% of those reconsiderations being negative) because of off-color posts. There are exceptions- if you are seeking a mission-based profession that requires raising awareness to be successful, you’ll need to prove that you are not afraid to be vocal and informative. This is while still being tactful, influential, and appealing enough to inspire people to action. Do not bash your employer or complain about your co-workers. Your future employer will envision being on the receiving end of those comments. Update your Facebook status with career-related activities, industry information, and what you are looking to give to your next employer. Facebook status updates are less formal and longer than LinkedIn status updates, but briefer than LinkedIn published posts. Use humor whenever possible and include pictures, as they statistically increase views and engagement. The more you post, the more you appear in your friends’ newsfeeds. However, two posts per day will suffice. Strike a balance in your posting frequency. You can always save content for another day. Be responsive to those who do comment and share your posts, and make sure you are spending time doing the same for others. Consistence on your social networks allows you to be reliable. Earn the loyalty of your followers by being loyal to them. Do not take ignored comments personally. People are busy and news feed algorithms change all the time. If you want a request urgently from someone, call or text them. Social media is regarded by most as a non-urgent venue of communication, and they may have a preference toward another social media platform. Try finding them on another social network such as Google+, Tumblr, or Instagram. Engage them directly by commenting on an article they have written or in the comments section of a personal blog. Your persistence will pay off when they take notice of you and a virtual contact becomes a real-life contact, opening job opportunity doors. This does not happen all the time, but if one venue of connecting is not working, experimenting with other venues can pay off with personal attention. I have successfully used social media to engage with my favorite speakers, best-selling authors, and even celebrities. Social media is where you can make a virtual connection with people, but you need to convert this conversation into a real-world exchange. Once you have the engagement (picture the fish on the hook) you have to real them in (this is the adding of value- asking them their pain points, what their most important initiatives are, and what their clients’ pain points are). Adding Twitter and Facebook to your job search arsenal enables you to tap into a vast job search network hidden in plain sight. Build your tribe through two of the most popular social networks rather than just focusing on the professional networks, to add additional value and to make your network more dynamic. 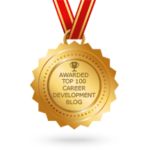 Instead of trolling the job boards where most find frustration and overcrowded avenues to job openings, you could be enjoying the exchanges you have. Even after you land, these networks will enrich your personal and professional life, enabling you to stay on top of new opportunities. You will be more aware of where new opportunities are as long as you stay visible and engaged. Use Twitter and Facebook as tools of the trade to bait potential employers, reel them in, and land your next job. Sharing wisdom means wealth for yourself!